This is my first time going to the Tasting Plates events. Here’s a little recap of my highlights of the EastVan edition. Kicked off the event with Via Tevere Pizzeria, where they served two kinds of Neapolitan pizza. The first one was the classic margherita and the second is the capricciosa. The capricciosa had prosciutto cotto, salami, artichoke, mushroom, and nicoise olive, whereas the margherita had San Morzano tomatoes, fior di latte, and basil. I am no expert at authentic Italian pizza, but I really enjoyed the margherita. The balance of topping to crust ratio was good, the tomato sauce had a nice balance of acidity, and the mozzarella (fior de latte) was scrumptious. 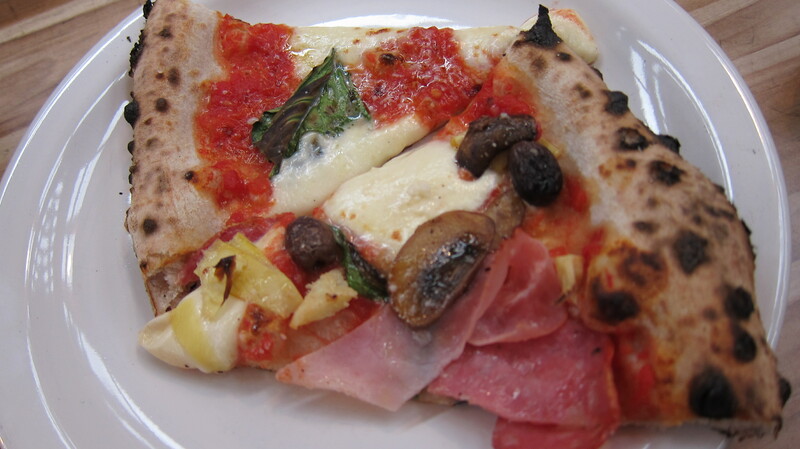 Neapolitan pizza from Via Tevere Pizzeria! 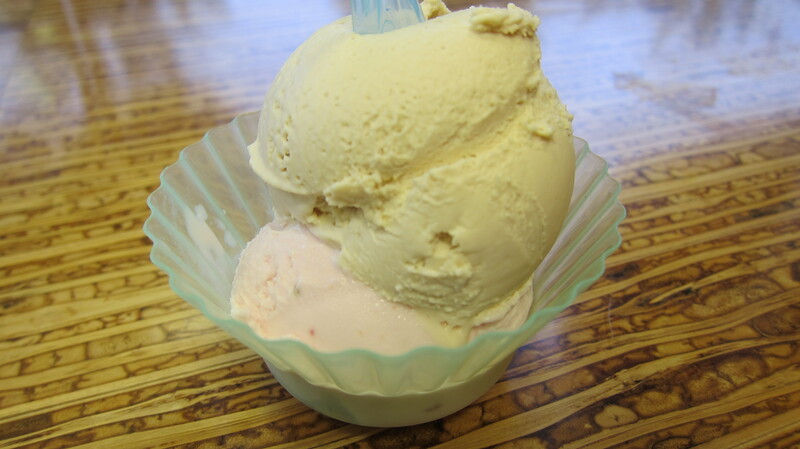 This next one is really a matter of preference with gelato. For me, it wasn’t quite spot on but for those of you who love incredibly rich, creamy gelato, you will like Gelateria Dolce Amore. The nocciola flavour (hazelnut) that was served to us was incredibly creamy and tasted of quality ingredients. Although I love creamy food, I found it a bit imbalanced – it was a bit too sweet and it felt like the cream had overpowered the taste of hazelnuts. This might just be me… but let me know how you feel otherwise. 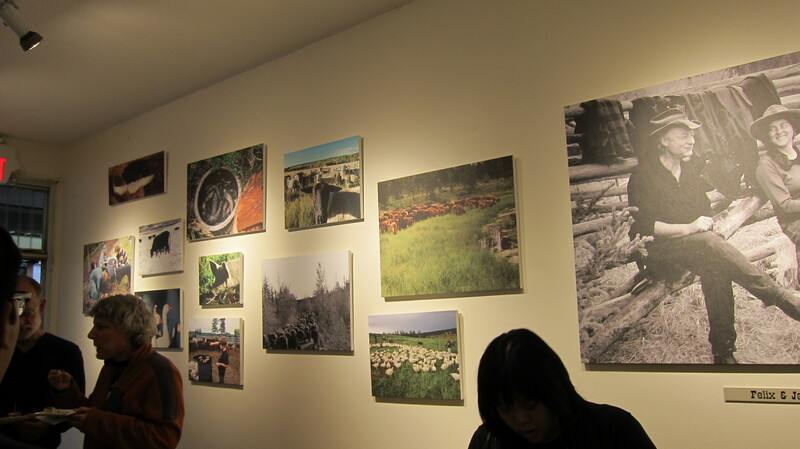 The top highlight of the night was from Pasture to Plate. It is a butcher shop that sells organic, local meats. For me, they did the absolute best at the event. As soon as we walked up to the store, there was someone outside to greet us. She did an amazing job at explaining what the store did, answered our questions very thoroughly, and had a true passion for the work that she does. 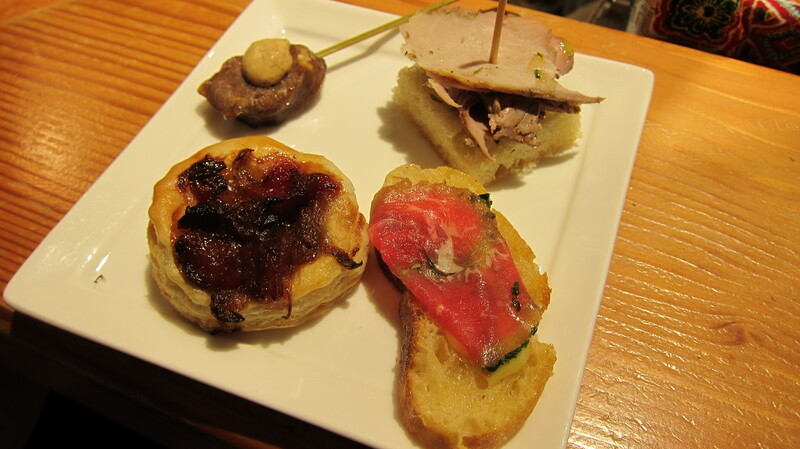 They served up a variety of their products through four different hors d’oeuvres. There was a grilled pork and beef sausage, bacon plum pizettas with caramelized onions, herb crusted beef carpaccio crostini with roasted garlic aioli, and porchetta on focaccia with orange pine nut and basil aioli. My dream plate. Seriously made my week better. I have no idea if they hired a catering company, but from the looks of their site they have a few incredibly talented chefs in their team. This little visit, by far, was one of the top highlights of my week. 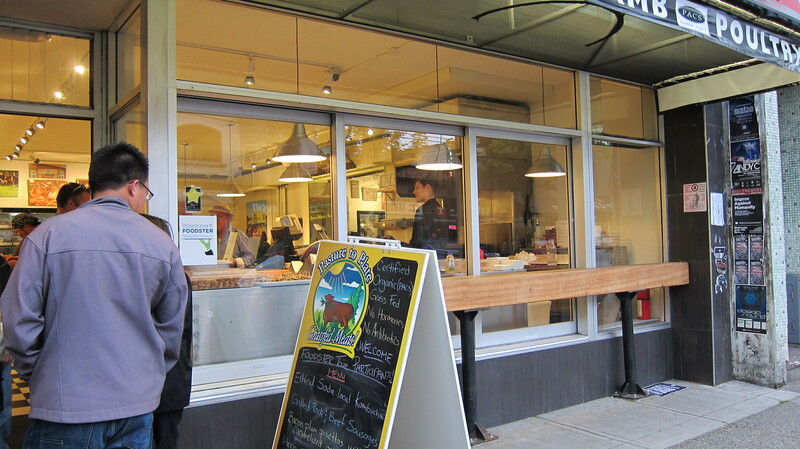 From Pasture to Plate – new favourite butcher shop! Had a good time and found my new favourite butcher shop. It was a good day.